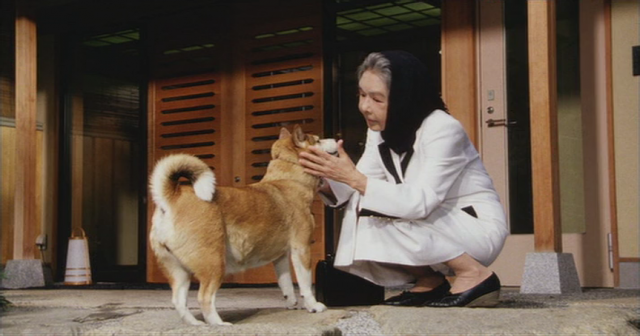 Veteran Japanese filmmaker Kaneto Shindo was 82 when he directed this meditation on life, death, and loss. 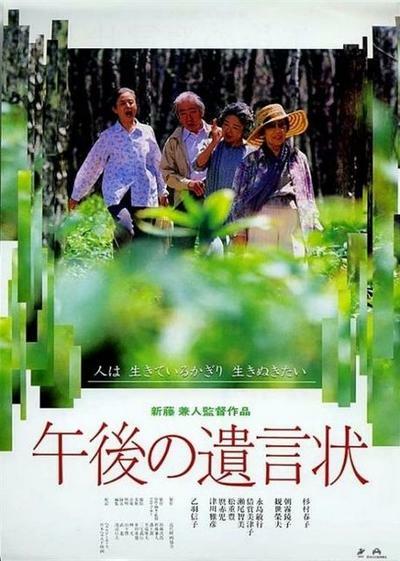 Following the passing of her husband, elderly former actress Yoko Morimoto (Haruko Sugimura) travels to her summer home in the mountains of Central Japan. Upon her arrival, her servant Tokoyo (Nobuko Otowa) has sad news for her — her long-time gardener has recently committed suicide. 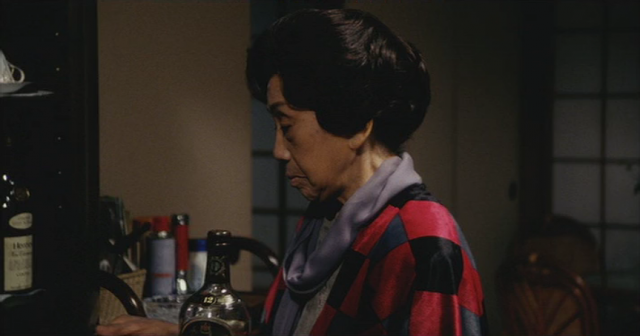 Adding to Yoko’s sorrow is the arrival of Tomie, an old friend from her days in the theater, who is traveling with her husband Tohachiro Urshikuni (Hideo Kanze), also an actor. 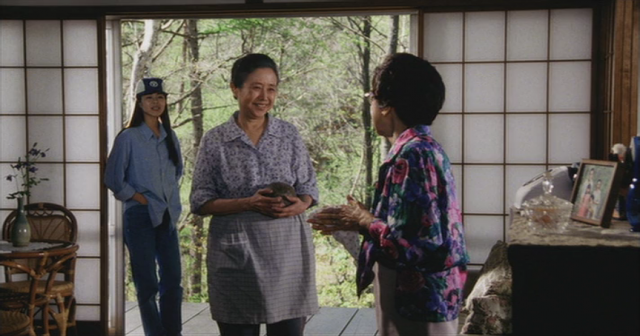 Tomie has grown senile, and Tohachiro no longer has the money to support them; he informs Yoko that they’ve chosen to kill themselves rather than entering an old age home that they can’t afford anyway, and they are taking this final trip to say goodbye to their friends. As Yoko deals with this troubling news, Tokoyo has a confession to make — she had an affair with Yoko’s late husband, who was the biological father of Tokoyo’s daughter. A Last Note received the Critics Award at the 1995 Moscow International Film Festival.